The world of celebrity is constantly changing, and it seems as though trends come and go quicker than we can say “Botox.” In recent months, a new trend has swept the celebrity world, and it seems as though all eyes are on a very specific type of vegetable. Of course, not everyone would grab a stick of celery and snack on it in-between movie takes, but it’s a whole different story if you juice it in a blender. In fact, these celebs are leading the way with the celery juice trend. It’s fair to say that Gwyneth Paltrow is a living legend when it comes to health and wellbeing. As well as having her very own brand and magazine, Gwyneth shows off her enviable lifestyle on social media. One daily ritual she swears by is a glass of celery juice in the morning. 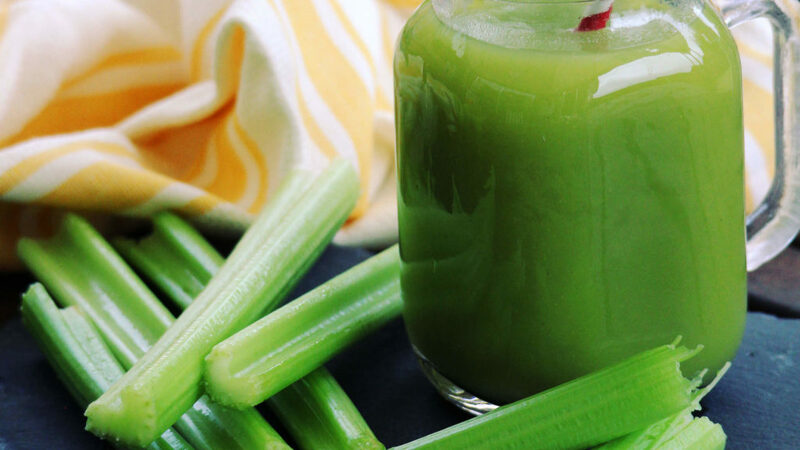 While there is no medical or scientific research to back up the benefits of celery juice, the vegetable is full of antioxidants and minerals, and Gwyneth is a huge fan. 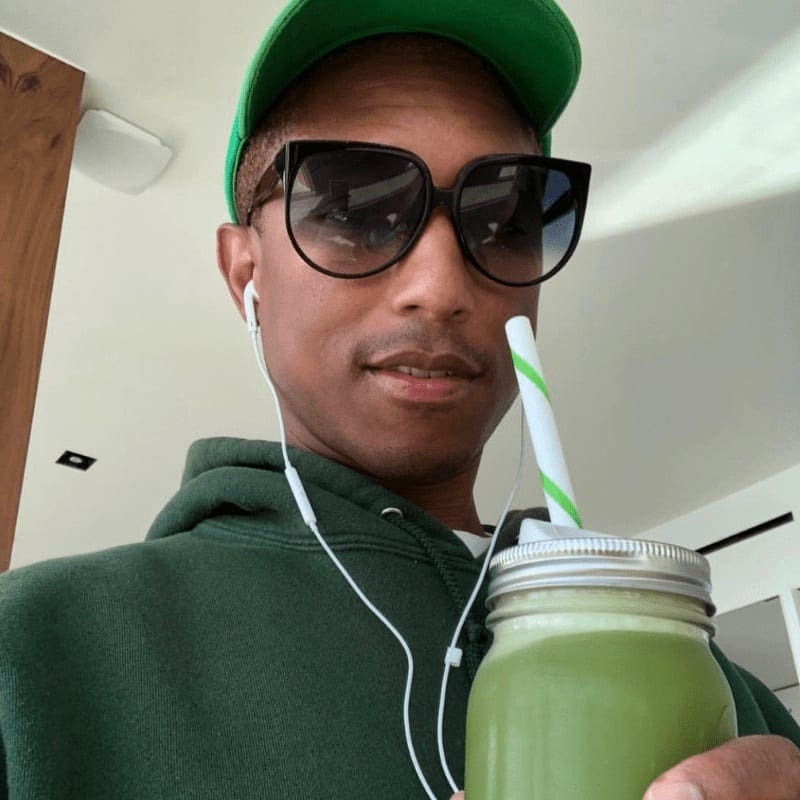 Pharrell may be known for creating some impressive songs and topping the charts, but it seems as though he also likes to stay on top of his fitness game. He works out regularly, and he has recently got onboard the celery juice train. One of the main benefits of this trend is that it’s all natural and can be done easily at home. 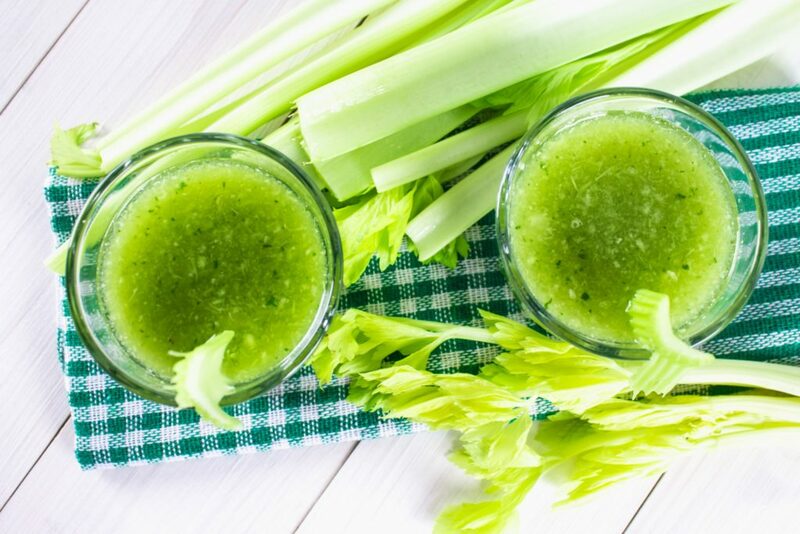 All you need is a few sticks of celery and a juicer! If you have these two items, you can follow in the footsteps of Pharrell. With one of the most famous bodies in the celebrity world, all eyes have been on Kim Kardashian’s health and wellness routine for years. However, the reality television star and businesswoman has made no secret of the fact that she suffers from a skin condition called psoriasis. Although she has undergone various treatments and done everything she can to keep this condition at bay, she has found a new and natural treatment. Yes, Kim Kardashian makes sure to start her day with a large glass of celery juice to keep inflammation at bay. Of course, not everyone is a fan of celery so it might not be as easy for you to incorporate this trend into your diet. Worth a shot though, isn’t it?